Cutting Edge Intermediate Teacher's Book and Teacher's Resource Disk Pack | Free eBooks Download - EBOOKEE! The Teacher's Resource Book contains all the answers for exercises in the Students' Book as well as extra resources and exercises. The Resource disc contains a variety of other photocopiable activities, tests and audio as well as audio and video scripts. 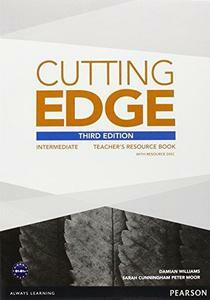 No comments for "Cutting Edge Intermediate Teacher's Book and Teacher's Resource Disk Pack".